The road from Ahmedabad to Porbandar is jerkless and effortless. The destination was Kirti Mandir, ancestral home of Mahatma Gandhi, the Father of the Nation, for a peace ceremony on Martyrs’ Day, January 30 the day the Mahatma was assassinated in 1948. Peace has been our eternal quest and peace was what I found here. We were staying at the only decent hotel in the port city of Porbandar—Hotel Lila’s. 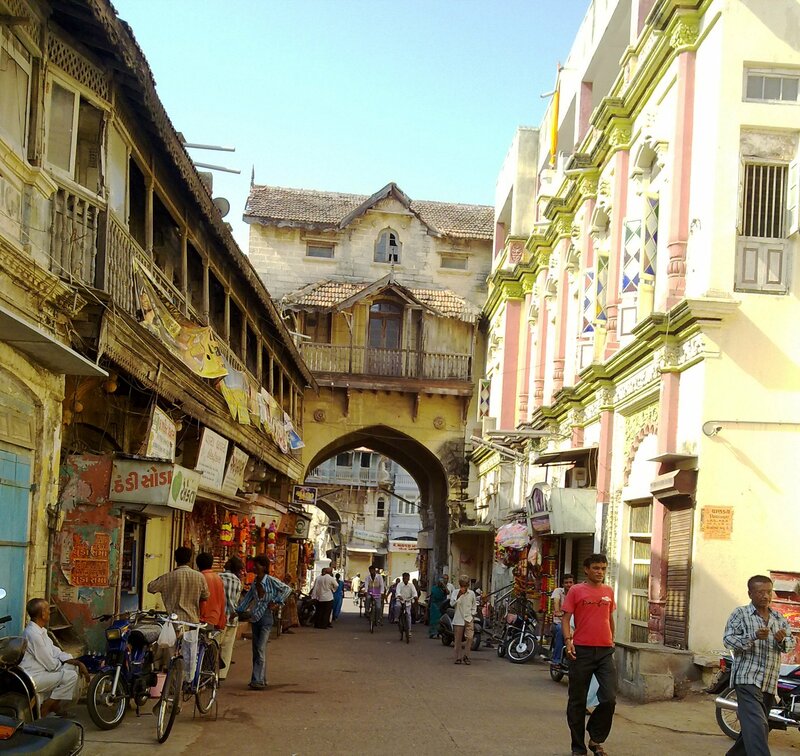 The walk to Kirti Mandir from here is a short one but through the bustling shopping area. Colourful bandhini sarees and aroma of different foods kept luring the senses. The temptation to change tracks and venture into the shops was strong. But the peace ceremony was to begin soon. So a little rushed, we walked on through the narrow lanes and finally shoes outside, we sat on the mats on the floor of Kirti Mandir in pin drop silence for five minutes. The only sounds we heard came from outside.